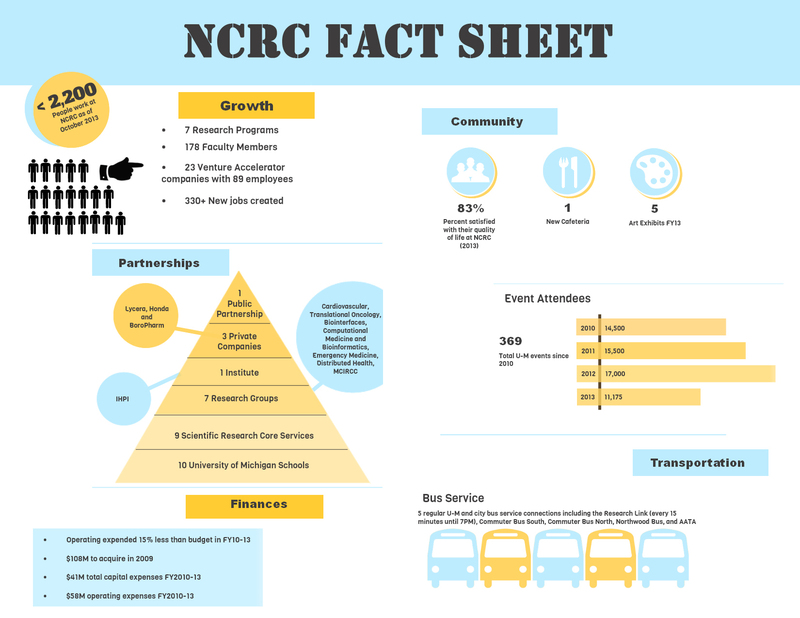 A look at some key facts about NCRC provides a picture of vibrant growth. With over 2,200 people working on the site as of September 2013, a significant number to note is the number of new jobs created. 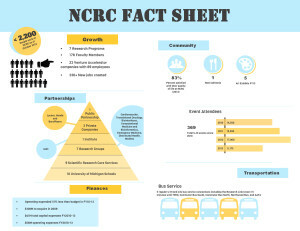 Since the first groups that moved here in March 2009, over 330+ new jobs have been created at NCRC. 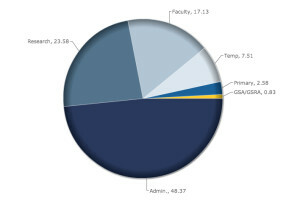 About 89 individuals now work in the 23 start-up companies in the Venture Accelerator. 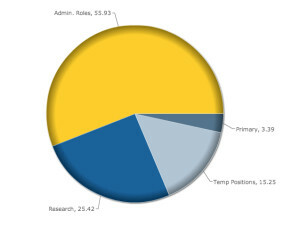 Research growth at NCRC has been significant. 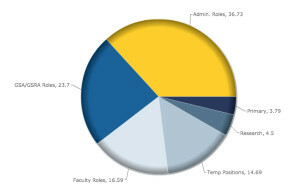 With seven well-established, interdisciplinary research programs and eight scientific core services, 178 faculty members and several other researchers, doctoral and post-doctoral students and technicians, the promise of cutting edge research is becoming a reality. NCRC is now home to the nationally significant Institute for Healthcare Policy and Innovation. Partnerships with private industry have been established and are growing, with three private companies on site and 23 companies in the Venture Accelerator. NCRC is now a thriving community with a large number of events taking place on its site, attracting thousands of attendees in the last few years. Dining options have grown, exercise classes are offered regularly and an exciting art program brings cutting-edge art at the intersection of science and art to this campus. With regular and frequent bus connections with the rest of U-M campus, the newest addition to North Campus is now well integrated and connected to the University of Michigan. 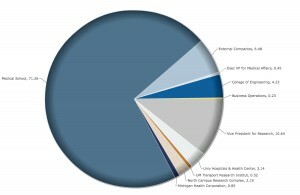 Click any graph for a larger, interactive version of the data.